The holiday season is upon us - and with all the hustle and bustle, please remember to support your local businesses. 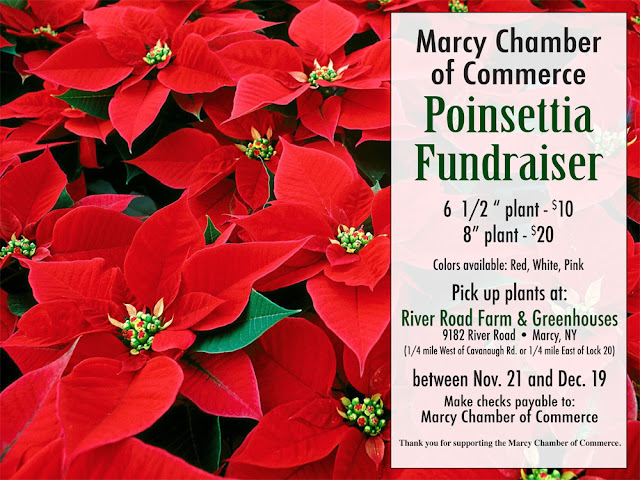 This year, Marcy Chamber of Commerce is teaming up with River Road Farm and Greenhouses with a Poinsettia Fundraiser. 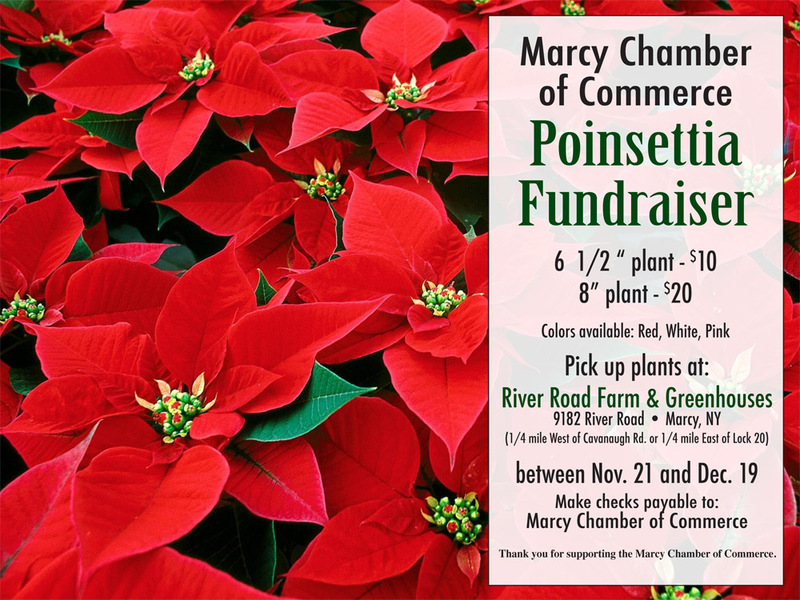 Please download and post the attached flyer in your business and help the Marcy Chamber raise funds so we can continue to help you and your business. Plants can be picked up from November 21 through December 19. Colors available are: red, white, and pink. Please pay for plants when you pick them up. Make checks payable to: Marcy Chamber of Commerce. Thank you for your support, happy holidays, and best wishes in the upcoming new year!